Apple iPad Sales: Has The iPad Met Its Match? Apple iPad Sales: In the battle for supremacy in the tablet market, most people agree that Apple Inc. (NASDAQ:AAPL) is riding high and will continue to do so well into the future. Along with its traditional tablet, the Cupertino based company rolled out the mini at the end of 2012 to give consumers another option. 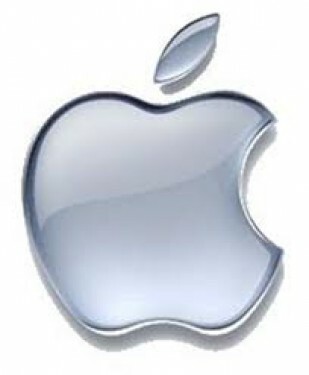 Apple’s recent earnings report showed good signs for the iPad, with sales coming in ahead of expectations. During the call, Apple Inc. (NASDAQ:AAPL) CFO Peter Oppenheimer bragged about how the iPad is accounting for a large portion of web traffic in North America. But no matter what Apple says or does, the company always has Samsung nipping at its heels. Not only is Samsung hitting Apple where it hurts in the smartphone arena, but the company is looking to make waves in the tablet space as well. With this battle heating up, Chitika Insights took the time to compare each company’s share of the market over the past six months. This will give us a better idea of which direction each company is headed, as well as which tech titan has the leg up as the summer months bear down on us. As you will see on the graphs published on the following page, both the Apple Inc. (NASDAQ:AAPL) iPad and Samsung Galaxy tablet are performing well in North America. On the other side of things there is both good and bad news for Samsung. On the plus side, the company doubled its share over the past six months. On the downside, the move only took the company from 2.1 percent to 4.3 percent. Yes, this shows positive growth but the company has a ways to go before tracking down Apple. The past six months show Samsung gaining ground, slowly but surely, while Apple Inc. (NASDAQ:AAPL) continues to get closer to the pack. The next six months will say a lot. Will Apple hold steady? Will Samsung make more of a push?